What do you get if you merge a Toyota Prius with Lexus styling and luxury? The Lexus CT 200h of course. 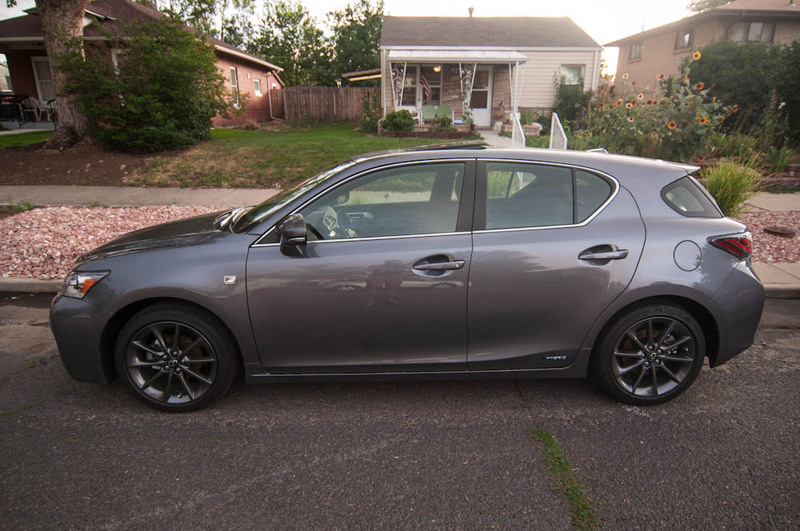 Imagine, if you will, a slightly stretched and flattened Toyota Matrix with a more stylish body kit; toss in a 1.8-liter four-cylinder gas engine and current Toyota Prius power-train under the hood, widen the stance a bit and you’ve got the 2012 Lexus CT 200h. The CT 200h’s aggressive and attractive styling is somewhat reminiscent of the Scion tC, not surprising as that happens to be the platform from which it is based. The progression makes sense; young buyers pickup a Scion, remain loyal to the brand and grab a Toyota, and when they have a regular fat paycheck they can pick up a Lexus. The CT 200h seems aimed at those aging, fat paycheck carrying, boy racers who also concern themselves with their environmental impact. They love the Prius for its economical and environmental friendly output, but hate its mundane, rolling, Obama bumper-sticker look. I rather liked the CT 200h’s styling with its large wraparound headlights, oversized mirrors, short stance (the vehicle is only 4.6 feet tall), and aggressive front styling and grille. The CT 200h even looks fast and aerodynamic with its elongated roof and you will find a rear spoiler lip atop the hatch. You won’t, however, find any of those obnoxious “hybrid” decals, badges or effeminately colored flairs. Inside, the CT 200h is luxurious and comfortable with easy to access ergonomic controls, buttons with easy to read icons, and a very cool intelligent mouse used to navigate the infotainment system on the large screen that pops out of the center dash. The mouse/joystick system used in the CT is better known in Lexus speak as “Remote Touch”. The system provides haptic feedback to the driver, a slight vibration or buzz, when navigating the screen. The mouse quickly moves between on screen options and provides haptic feedback to let you know you have selected something new. Overall, I think it’s one of the best infotainment navigation tools I have used. A large circular control selects driving modes on the fly including Eco, Normal and Sport. Also present is an EV button which allows you to drive the CT off the power of its 168-cell battery pack alone. Push the car above 28 mph in EV mode and the gas engine will kick in automatically. The Eco mode is, as you probably guessed, slow but efficient. Normal mode is quite a bit more spritely, but still rather subdued. Sport mode delivers deceptively quiet speed, so be sure to keep an eye on the speedometer. Handling in all modes is fantastic; corners are handled with aplomb and the CT offers up plenty of power for passing and maintaining speed on mountain roads. You must also remember that the CT sits very low (fewer than 6 inches of clearance) and sits on 17-inch tires, so while it tracks very nicely on a hot summer day, I’m not sure I would want to find myself in it when the snow starts to fall. Fun, though readily available, is not the CT 200h’s primary concern. The vehicle weighs in at nearly a ton and a half, comes paired to a front-wheel-drive CVT and has a listed 0-t0-60 mph time of 9.8 seconds thanks to its 134 horsepower power-train. Push the car hard and it is happy to remind you that it prefers, and performs best when cruising. Besides adding a certain pep to its step, putting the car in Sport mode comes with one less-than-subtle interior change; the dash changes color from blue to red and the electronic hybrid meter on the dash changes into a tachometer. The front bucket seats are comfortable and supportive. The driver’s side seat gets electronic adjustments while the passenger seat is relegated to purely manual adjustments — in such a technologically advance vehicle that was a bit unexpected. Given the name CT — Compact Touring — you might expect the interior to be tight. It is not. Headroom is good and legroom is great in the front, though both are a bit tight in the rear. Controls are always within comfortable reach and everything seems laid out thoughtfully. 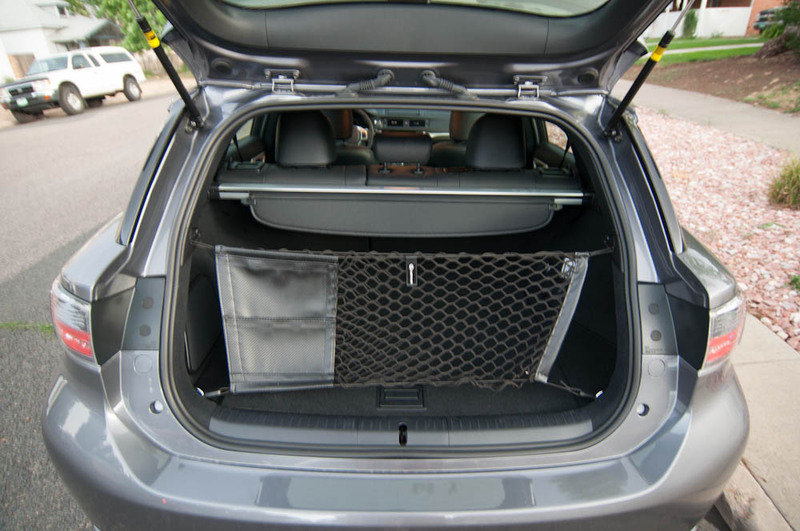 The CT also offers up ample cargo room, with plenty of expansion thanks to a 60/40 split-folding rear bench seat. Satisfy your eco-friendly side without sacrificing your penchant for luxury and sportiness. My CT200h started at $31,750 and after adding a sport package, navigation, premium sound and LED headlights the final rolling price was $39,940. 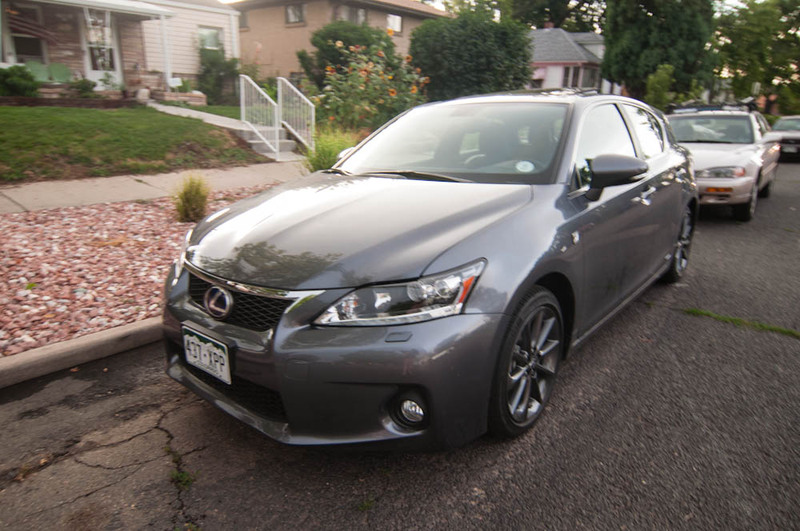 Prius practicality and eco-friendliness meets Lexus luxury and sport handling for a great happy medium in the CT200h. Have your cake and eat it too.